Shapeless work scrubs are a thing of the past, thanks to WonderWink scrubs. You don't have to settle for baggy, ill-fitting bottoms just because scrubs are a requirement of your work uniform. WonderWink scrubs are here to save your style. With a comfy cotton/polyes ... (see full details) (see specifications) #5026-NVY. Shapeless work scrubs are a thing of the past, thanks to WonderWink scrubs. You don't have to settle for baggy, ill-fitting bottoms just because scrubs are a requirement of your work uniform. WonderWink scrubs are here to save your style. With a comfy cotton/polyester blend material and a lady fit and flare bottom, these WonderWink Women’s 5026 NVY Romeo Navy Blue Flare Leg Cotton/Poly Scrub Bottoms work as well or better than your current work scrub bottoms - and they look a lot cuter. The women's scrub bottoms by WonderWink offer six pockets and an elastic drawstring waist to keep you comfortable and covered on the job. If you wear top and/or bottom scrubs to work, more than likely you need the coverage they offer as you bend, move, lean, climb, push, pull, and do whatever else your job requires of you. Thanks to this flexible and strong 65% polyester and 35% cotton fabric, you'll have plenty of stretch to get the job done. Sitting at the natural waist, the 1/2-inch elastic waistband keeps you covered as you work. The versatile drawstring can be worn in two different ways: the convertible design allows you to wear it out, or it can be tucked in easily. The deep navy blue fabric complements so many fun scrub tops (but also has a matching solid option as well), and the fit and flare style gives you a touch of professional shape. The open vents on the bottom hems fit easily over work shoes as well. Six pockets offer ample room for storage, starting with two reach-in pockets at the waist of the Romeo women's work pants. Keep your cash, ID, or notes close and secure in these snug pockets. On the right thigh side seam are a series of four pockets of various uses to suit all of your storage needs. From a large, open top pocket to pockets hidden inside for added security and firm hold, you'll have plenty of convenient storage with these super cute flared scrub pants. It's recommend women who are 5’2” or shorter order petite length pants, while 5’3”-5’6” order regular length, and 5’7” and above should order tall sizes. 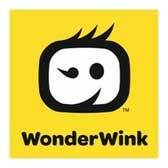 For a cute, professional fit with a slight flare and oh-so-comfy fabric, the WonderWink brand has you covered. These navy blue ladies’ scrub bottoms are perfect for anyone wanting to add a little style to your uniform, as they're great for anyone who works in the healthcare field. Keep yourself comfy and cute with these WonderWink Women’s 5026 NVY Romeo Navy Blue Flare Leg Cotton/Poly Scrub Bottoms from Working Person's Store. These are designed by the award winning company with a mission for better options for you. Check out all of the other fun and comfortable WonderWink options at WorkingPerson.com before you go, as we’re so sure you’ll love these women's scrubs so much you’ll want more! Great product for medical professionals to wear to work. Love the color which will match any top. Product is made out of material which will look great coming out of the dryer. Dry string waist makes it comfortable for wearing and the pockets are great for storage of often used tools for the job. WonderWink Scrubs: Women's 5026 NVY Romeo Navy Blue Flare Leg Cotton/Poly Scrub Bottoms is being added to your cart.